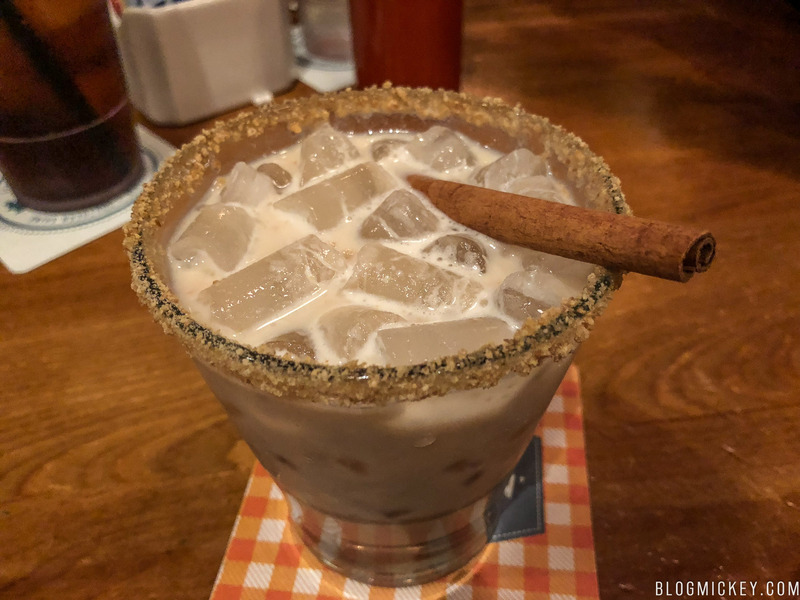 Homecomin’ has introduced a new drink for the holiday season and we recently made it out to give it a try. The Very Merry Moonshine contains a variety of holiday themed liquors in an attempt to get you in the Christmas spirit. Ole Smokey Shine Nog, Stillhouse Moonshine, Kahula and eggnog are finished with garnished nutmeg and a cinnamon stick. Overall, we found the Kahula taste to be the driving factor behind the drink. A bit of eggnog persisted, but those looking for a traditionally eggnog flavor might be disappointed. The drink did prove to be mostly smooth, with a bit of kick from the Kahula. 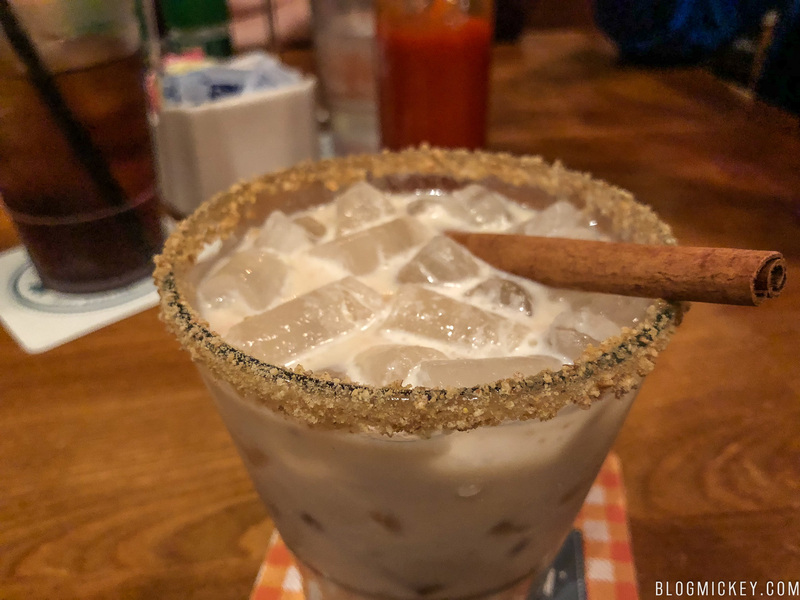 The crushed graham cracker rim was soft and made for an excellent combo with the drink. If you have just one holiday item in the budget for your next trip to Homecomin’, I would skip this drink and head for the delicious Warm Pumpkin Bread Pudding instead.